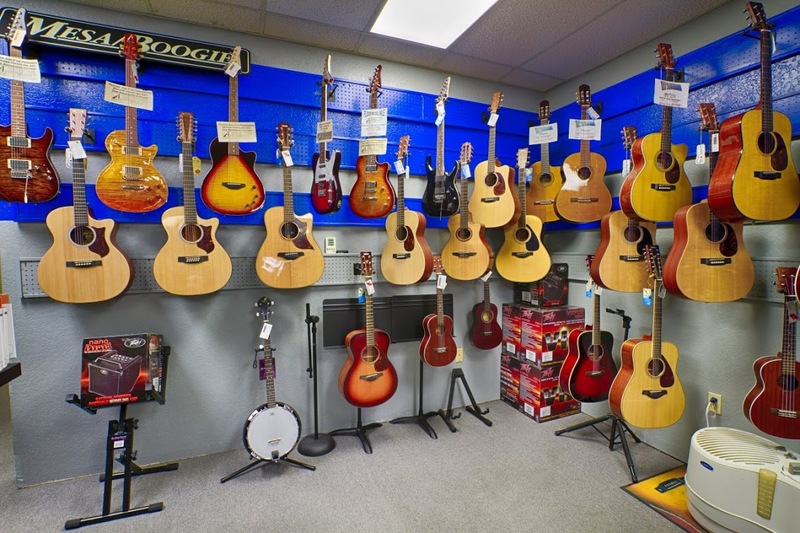 The Music Store carries a large selection of quality guitars and guitar accessories, as well as other stringed & fretted instruments. 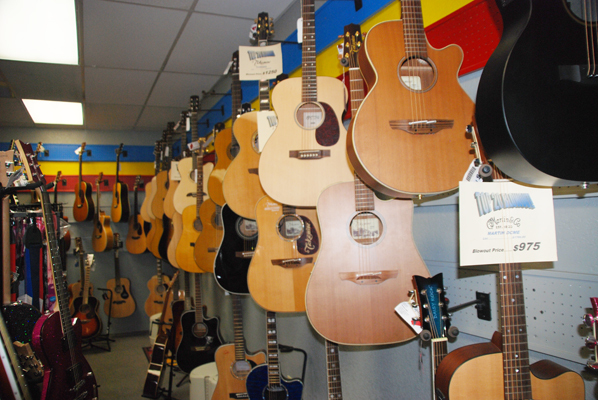 We are proud to stock Alvarez, Ibanez, Martin, Peavey, Tom Anderson, & Yamaha. To shop our large selection of guitars by manufacturer, click on the logos below. If you have questions about a specific guitar's availability, please call us at (480) 831-9691 and speak to one of our instrument specialists. Clicking on the below banner links will open a new window. The Music Store is proud to carry guitar and bass amplifiers to suit any need. We offer Ibanez, Mesa Boogie & Peavey amplifiers, Peavey footswitches, Mesa Boogie & Fishman pedals. Click on the links below to browse the models we stock, or come in try them out for yourself. 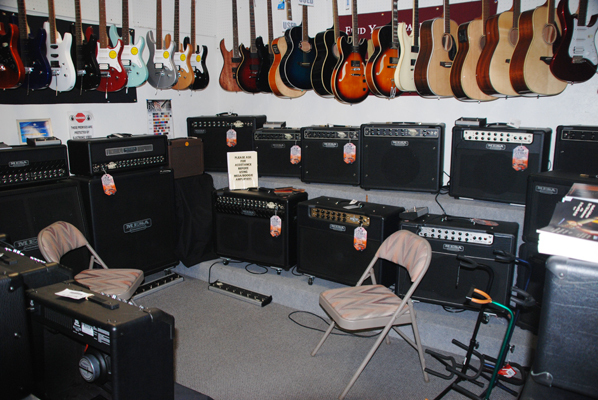 Our well-stocked guitar amp and bass amp rooms provide the perfect setting to compare amps of different brands or different features side by side. For pricing and availability, please call our store at (480) 831-9691 and ask to speak to one of our specialists or visit our online store.